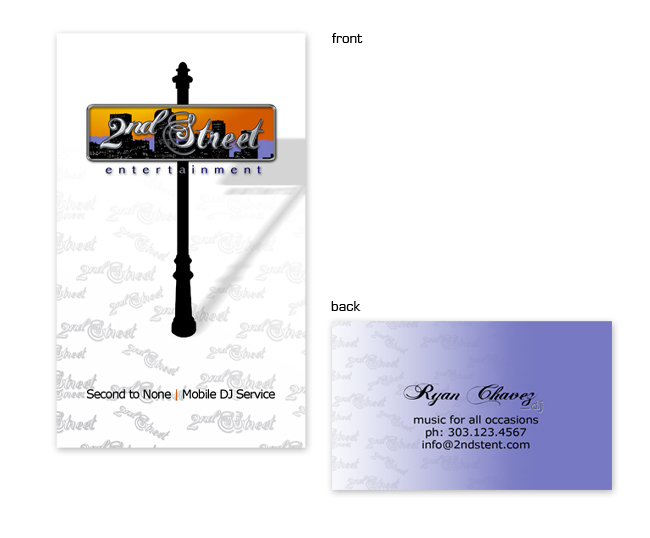 2nd Street Entertainment was in search of a make-over of their corporate ID. The main challenge was to design a logo resembling a street sign, but without an overly commercialized feel. Completing the logo lead to a business card design.